No more cash for speed cameras | What Car? 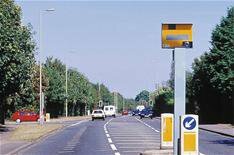 Fixed speed cameras will no longer receive Government cash it has been confirmed. Junior transport minister Mike Penning made the announcement, saying that councils will have to use their own money to install new cameras. The junior minister also said that local authorities would be encouraged to look at alternative safety measures. Mr Penning revealed that the use of fixed speed cameras has tripled over the past 10 years of Labour power. He said: 'The public must be confident speed cameras are there for road safety not as a cash cow. Under this Government it will not be so. Labour's former minister for transport said that such cameras had cut death and injury on the UK's roads, and that income from them was less than was spent on them by the Government.